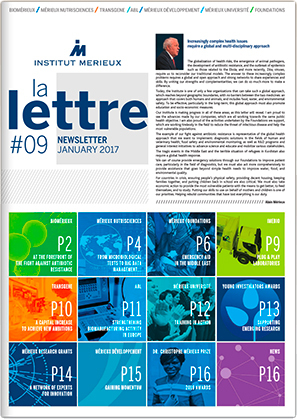 The latest issue of Institut Mérieux’s Newsletter is now available on our website. Please click here. Institut Mérieux’s Newsletter provides all the latest news about the Institute and its companies. This issue presents some of the major projects of the Institute’s companies plus a special feature on the Foundation’s actions in the Middle East.